Poor policy decisions in Cameroon have impeded the growth of affordable, real broadband services that are taking off in many of the continent’s leading economies. 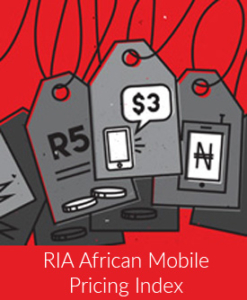 Although the introduction of bundled products by Orange Cameroon has significantly reduced the price for mobile prepaid services, the country lags behind its African peers in the deployment of 3G services due to protectionist policies and weak regulatory environment. ADSL services are offered at exorbitant prices and at virtually narrowband speeds, way below the levels reached by the other African countries analysed in the Research ICT Africa Broadband Value for Money Index. Download the RIA Policy Brief Cameroon No 4 June 2014.